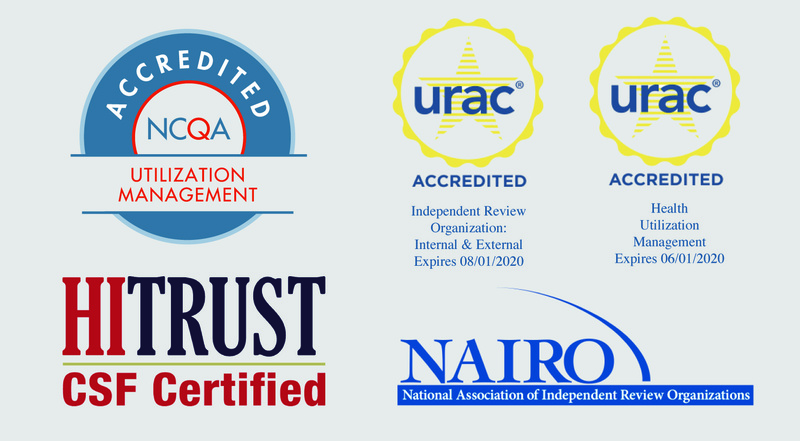 The Quality Management staff members at MRIoA are happy to help make your questions strong and specific. Collectively, the three of us have over 52 years of experience at MRIoA, and we know how effective the right question set can be. We learn and benefit from both negative and positive feedback. MRIoA appreciates the opportunity that complaints offer for us to improve and better meet needs; however, ideally, we want high caliber review reports that exceed expectation and do not generate complaints. The worst complaint is the one we do not receive, the one we are not aware of, the one we cannot correct and make right. Asking the right questions can improve results. Quality Management documents and tracks all complaints received. Any “slight expression of dissatisfaction” is considered to be a complaint. We review data collected on complaints and analyze outcomes based on the type of complaint (report quality, turn-around-time, etc.). Spreadsheets can be generated for any time frame and sorted to check for trends and identify opportunities for improvement. Individual educational opportunities are also identified and acted upon case by case. Client-specific complaints are reviewed so that action may be taken to correct trends; reviewers whose cases have received complaints are educated; and staff members whose work may reveal trends, or who might be associated with specific complaints, are coached. This work also helps us identify and update processes to best meet client needs. Analysis of recent complaint documentation indicates a higher percentage of concerns are received regarding the review report answering questions, as they have been asked. The best way to elicit a clear and specific answer is to pose a clear and specific question. Clearly state the exact service(s) being reviewed in the question set. –	Is maxillary sinus surgery medically necessary? –	Is the proposed, repeat MRI within community standards and medically appropriate? (Rather than, “Is MRI within community standards and medically appropriate?” This question may suggest that the reviewer needs address any/all MRI services documented in the records, including the initial MRI, which is documented in the records, but is not in question. The reviewer may take additional time to review indications for the initial MRI and add unnecessary references about initial MRI in the patient’s clinical situation that are irrelevant to the proposed, repeat MRI. Clearly indicate the specific criteria the reviewer is to use in evaluation of the service being reviewed, and list the Medical Policy number. –	Does Botox meet the Medical Policy renewal criteria – A25876.7? –	Does Botox meet the Medical Policy initial criteria – A25876.7? Listing the Medical Policy number helps us ensure that we have received the correct and most applicable Medical Policy for the case. There are many Medical Policies that overlap. –	Does this patient meet the attached LCD criteria for motorized wheelchair? (Rather than “Does the patient meet criteria for a motorized wheelchair? This may allow reviewer to think that society or ODG criteria could be used. Many times clients sent multiple criteria sets with cases. Sending only the criteria set you wish to have applied, or specifying that the reviewer address two specific sets, if needed, will clear confusion. Clearly identify the specific dates of service in question. –	Is continued chiropractic care from May 17, 2016 through present medically appropriate? (Rather than, “Is continued chiropractic care medically necessary?” This question may be interpreted to mean only from this point forward. Specifically request the amount of rationale you are in need of. –	For reviews other than Initial Medical Director and Summary/Summary Plus type reviews, we do not want reviewers spending unnecessary time and resources to supply extensive rationale and references if they are not necessary; however, there are times when detailed, specific rationale is exactly what is needed. Please convey what you need. –	It is perfectly fine to add “Please be concise.” “Please provide detailed rationale and quotes from the literature cited.” “Please explain.” “Why or why not?” “Please provide current literature with large, cohort studies to support your conclusion.” These type statements can be added to any question set submitted. This will help our reviewer and our staff members know how much detail you are in need of. It is perfectly acceptable to provide a background statement for context for the reviewer. –	Air ambulance services have been denied as it was determined that appropriate care could have been provided at a close location (23 minutes), the patient’s clinical situation did not preclude ground transport, and ground ambulance transport would have been safe. (Add questions.) This does not “lead” the reviewer, but rather, provides insight. This invites the reviewer to address the denial reason in the rationale, whether or not he/she is in agreement, and provides important discussion to support the conclusion. These suggestions should save reviewer time by ensuring that the correct services and criteria are applied without guesswork or unnecessary back and forth for verification. This will help keep review costs down and allow us to complete cases on a timely basis, with fewer delays. Posing questions in this manner will ensure that our Case Assignment staff easily finds the best reviewer fit for the case, and that the particular service in question clear not only to the reviewer, but to all staff members involved in the process. Additionally, it will be clear how much explanation, detail, and rationale are needed. The Quality Management team is experienced, and available to help with questions. We can assist on a case by case basis, or with standard question sets to ensure that review responses are consistent and elicit the information needed by our clients. We can also assist with appropriate questions for unique or unusual requests. It is in our best interest to make sure review reports are complete, provide the information sought with the required level of detail, and that all questions are appropriately answered as they have been asked. Working closely with our clients helps build mutually beneficial relationships and understanding on both sides. We are happy to help.